Several years ago I posted a picture of some muck buckets I had made from recycled Jello cups. This isn’t exactly a tutorial for that, but since I was making a new one I figured I would get some pictures as I went along. They’re really, really simple. 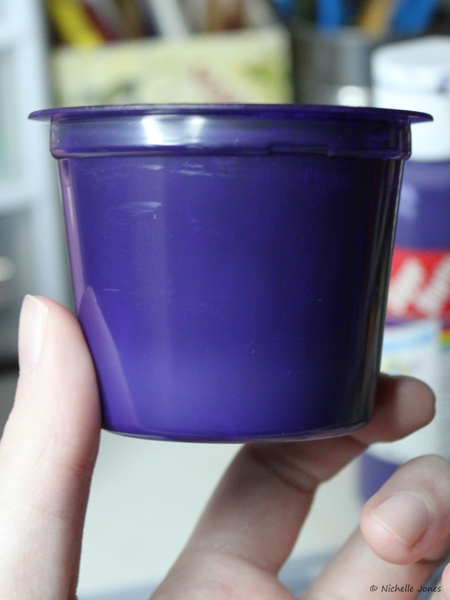 I scratched the use-by dates off with my fingernail, then painted the inside with a couple coats of paint. 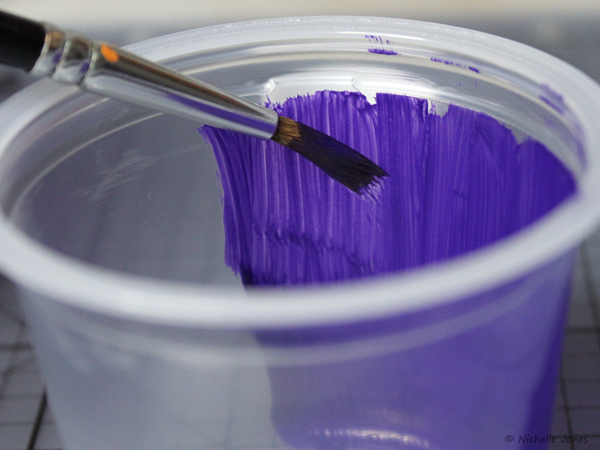 Since they’re transparent, there really isn’t any need to paint the outside. I added a coat of varnish over it as well. In the light, they can be a bit splotchy but honestly, my eyes don’t pick it up quite as well as my camera can. 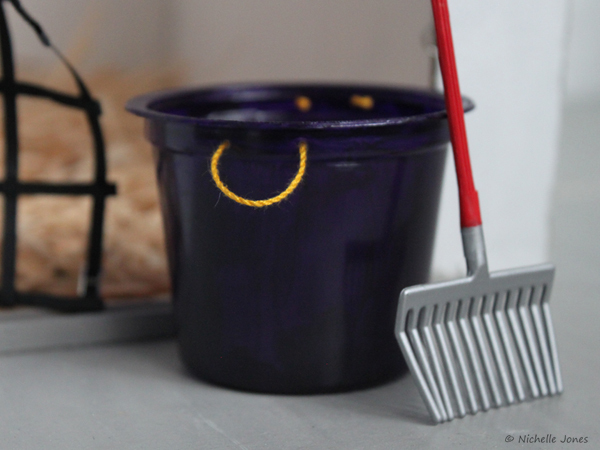 I’m not too bothered with it because you know… it’s just a bucket. The handles were made by splitting a piece of embroidery floss in half, (my floss is made up of six individual strands) then twisting it together. I punched holes in the side with a tack and threaded the twist through with a large needle. I also got it into my head to make a hay net. 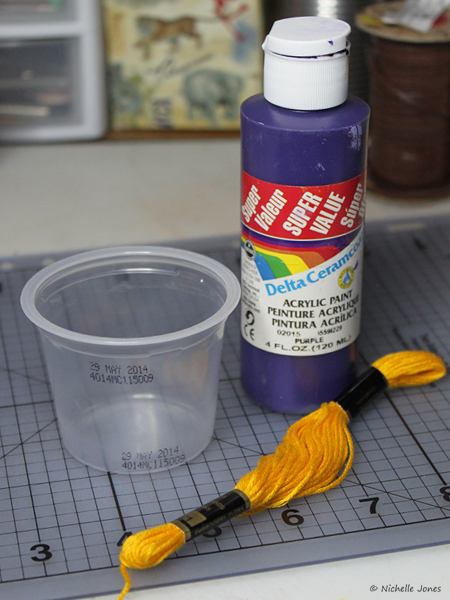 To make it, I found a tutorial on how to make a real one and re-created it in miniature. I split five strands of embroidery floss to give me ten strands altogether. You don’t have to split them- I just wanted something thinner. 🙂 My strands were really long (around 12 inches, which is plenty) but I found that keeping them long made things much easier in the long run! It was a lot easier to tie than I expected it to be. 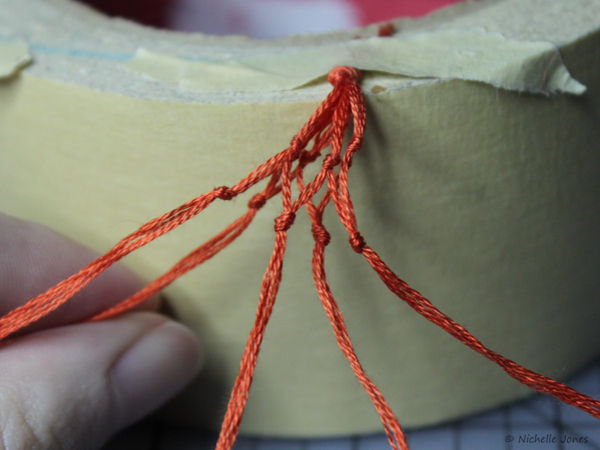 Some tips though… keep the end anchored to something, and don’t tie your knots too tight until you’re happy with how you’ve placed them! 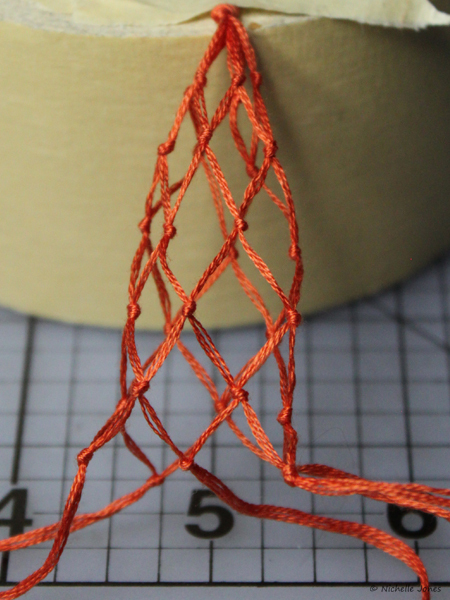 You could also use something like macrame cord (you can find really thin stuff on ebay… this is also great for making rope halters) instead of floss, so you could slightly melt the ends and knots to keep them from coming undone later. 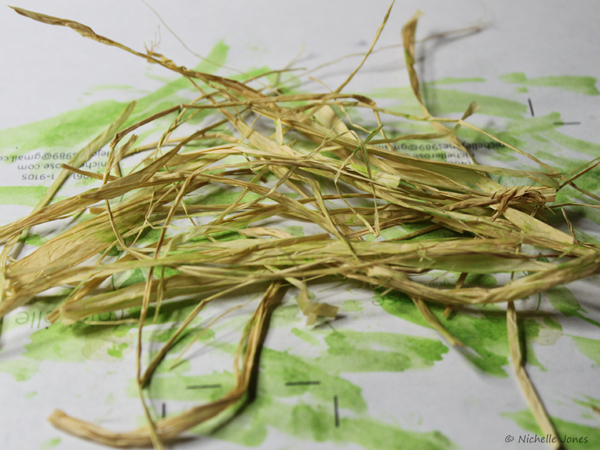 For the hay, I cut up some raffia and went over it with watered down green paint. I cut this up into a bunch of tiny pieces once it was dry. Another way to make these would to simply stuff a mesh bag of sorts and tie off the ends. 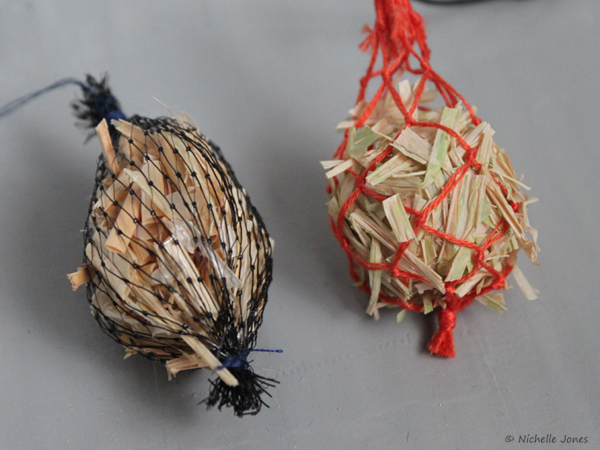 The one on the left here was made from a bag that held chocolate coins. It’s got to be ten years old at this point… I can’t believe it’s held up! Looking good! 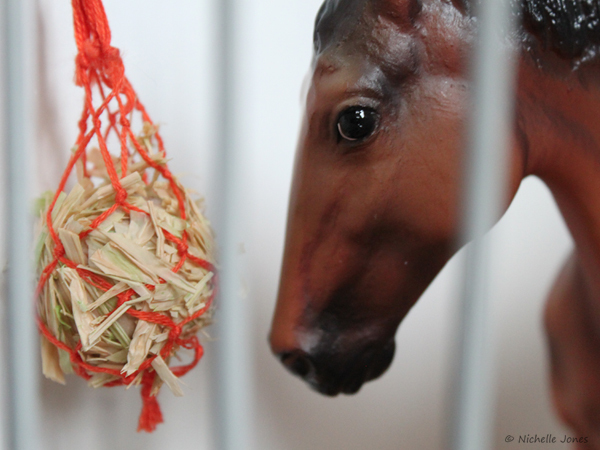 I make my haynets in a different way I think – you start off with a jumpring and go outwards, almost in a spiral! 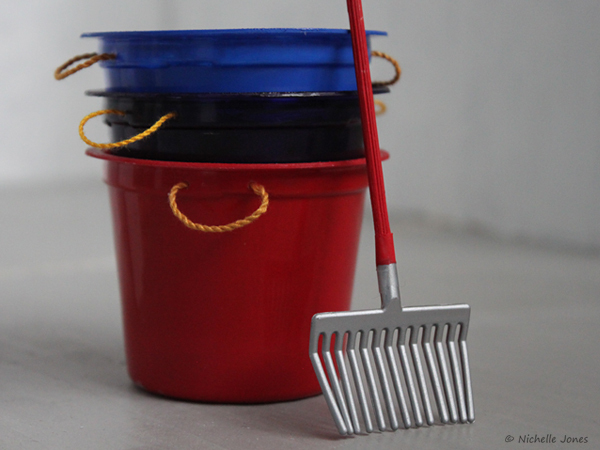 Those buckets look amazing though, I haven’t made any with handles before…hmmm…. love the muck buckets ! on March 30, 2014 at 11:58 am | Reply Evelyn L.
I’m trying to look at everything through your eyes, model horse-wise. hahaha. After finishing an applesauce snack, I’m wondering if the container will work as well as a jello container (cuz’ I don’t have any right now).